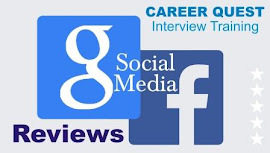 The term Career Quest or 'us' or 'we' refers to the owner of the website. The term 'you' refers to the user/viewer of our website. 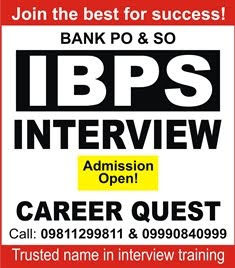 Career Quest Institute operates under the brand name of ' Career Quest' with or without logo. 8. You may not create a link to this website from another website or document without Career Quest ’s prior written consent. 10. All information, content and material, including the software, text, images, graphics, video and audio, contained in the website and the products and services are property of Career Quest. All trademarks, services marks, trade names, and trade dress are proprietary to Career Quest. You understand that Career Quest is a registered trademark owned by Sanjeev Kabeer. This trademark may not be used in any manner without prior written consent of Career Quest. No information, content or material from the our products and services may be copied, downloaded, reproduced, modified, republished, uploaded, posted, transmitted or distributed in any way without obtaining prior written permission from Career Quest and nothing on this website shall be deemed to confer a license of or any other right, interest or title to or in any of the intellectual property rights belonging to Career Quest, to the user. You may own the medium on which the information, content or materials resides, but Career Quest retain full and complete title to the information, content or materials and all intellectual property rights therein. i) You may not recompile, reverse engineer, or disassemble the contents of the website and / or our products, or (c) remove any copyright, trademark registration, or other proprietary notices from the contents of the website and / or our products. ii) You will not (a) use our product or service for commercial purposes of any kind, or (b) advertise or sell any products, services or otherwise (whether or not for profit), or solicit others (including, without limitation, solicitations for contributions or donations) or use any public forum for commercial purposes of any kind, or (c) use the website and / or our products and services in any way that is unlawful, or harms Career Quest or any other person or entity as determined by Career Quest. 12. Career Quest or any of its subsidiaries or content partners shall have no responsibility for any loss or damage caused to tablet or any other hardware and / or software, including loss of data, those results from the use of our products and services. 15. For return of product(s) damaged at the time of delivery, the shipping charges shall be borne by Career Quest. However, for return any of the product(s) for any other reasons, it shall be the responsibility of the registered User to arrange for the return of such cancelled product(s) and the shipping charges shall be borne by such User. 16. We request you not to accept any product package that seems to be tampered with, opened or damaged at the time of delivery. The products must be returned in the same condition / unopened as delivered by Career Quest. Any products returned showing signs of any use or damage in any manner shall not be accepted for return. 18.The institute employs strict refund policies for its classroom and online/distance programmes. 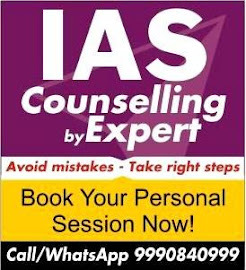 It advices students to make a judicious decision before joining course(s). However student joining online programmes like Distance learning, Postal programme and Test Series programmes can claim for refund if the services promised during the period are not delivered. They shall contact the office for any such queries. The office would refund the appropriate amount online to the source account from where payment was made. A student can not cancel his course that has been joined online. Cancellation will not be entertained and refunded, under any circumstances. 19. 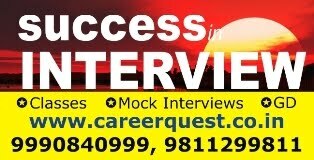 Career Quest may also contact the user through sms, email and call to give notifications on various important updates. Therefore, User holds Career Quest non liable to any liabilities including financial penalties, damages, expenses in case the users mobile number is registered with Do not Call (DNC/DND) database. 20. You hereby indemnify, defend, and hold Career Quest's distributors, agents, representatives and other authorized users, and each of the foregoing entities" respective resellers, distributors, service providers and suppliers, and all of the foregoing entities' respective officers, directors, owners, employees, agents, representatives, harmless from and against any and all losses, damages, liabilities and costs arising from your use of our product.